Oakland California’s Alaric is an Anarcho Death Rock experience to hear. They blend Doom and Stoner vibes with an endless supply of thumping and haunting beats. Picture the scene: Hard Rock with lot’s of foreboding swirling around. Alaric isn’t bashful about being creative with their overall sound, lending guitar parts and vocals that would make perfect sense on many 80’s New Wave songs. Don’t be fooled however, cause these same guitar parts and vocals sound exceptionally terrific and gives this band a unique identity on Memory Assault, So Far Down and Weep. 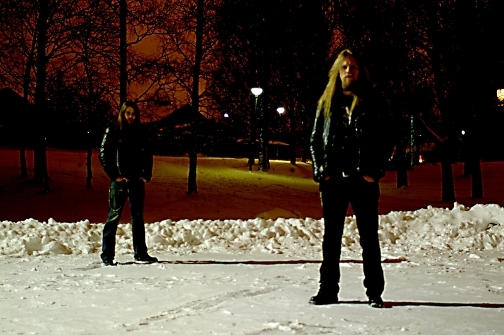 A heavy band that considers melodies and being memorable is Alaric. 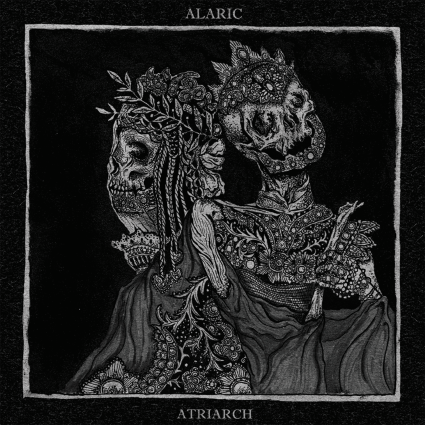 The overall feel and vibe I walk away with, after listening to these three Alaric songs, is that this band took the “college Alternative” sound from the late 80’s and early nineties and turned it into a melancholy heaviness of their own; a Death Rockin’ style of heaviness that makes good damn sense to my ears. 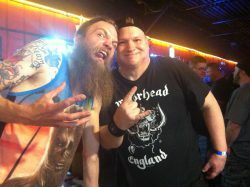 Alaric has sold me on their style of Rock and I will be listening to them a great deal more now. Portland Oregon’s Atriarch is a Blackened Death/Doom band which spells: Delectable Metal. A cool listen are both songs (Oblivion, Offerings) and they serve up what’s to be expected from a band of this genre. Oblivion didn”t play out as extreme as I had anticipated and I still appreciated it nonetheless. The vocals on Oblivion include an intermittent spoken word which easily adds style points to the creep-out meter. Offerings begins with an eerie and distant-like guitar, shredding about its sonic wall of inviting blackness, an intro that I gleefully welcomed with open ears. Offerings builds itself up to an Extreme tempo with matching vocals; a nightmarish sounding song and that is a sincere Metal compliment to this band. Metal be thy name. * The intense artistic talent of Bryan Proteau created the album cover artwork. * For more info on this album, click that link below! LONG LIVE ALARIC & ATRIARCH.